Hi everyone, have you checked out the Rinea store yet? You have to see the new line paper foils now available. I'm on the Rinea blog today with this fall card. 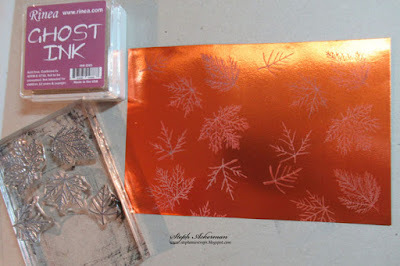 Using Rinea Ghost Ink, I stamped Leaves from Joy Clair about a panel of Marigold/Gold Glossy Foiled Paper. 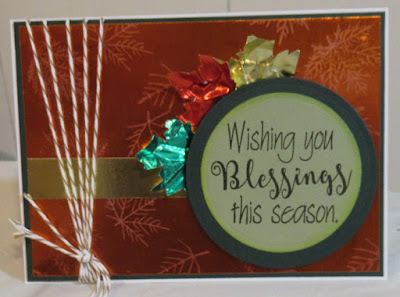 I cut the panel to fit green cardstock, then used the reverse side of the Marigold/Gold Glossy Foiled Paper to add a small strip across the center of the card. 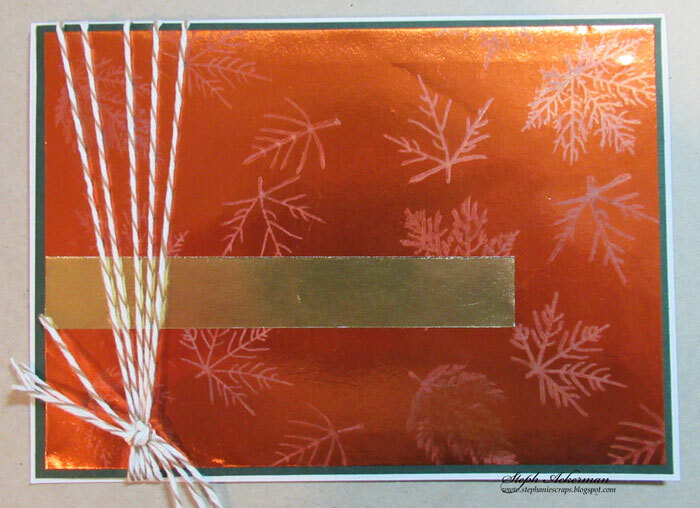 Whisker Graphics twine was wrapped around the panel which was then added to the card. 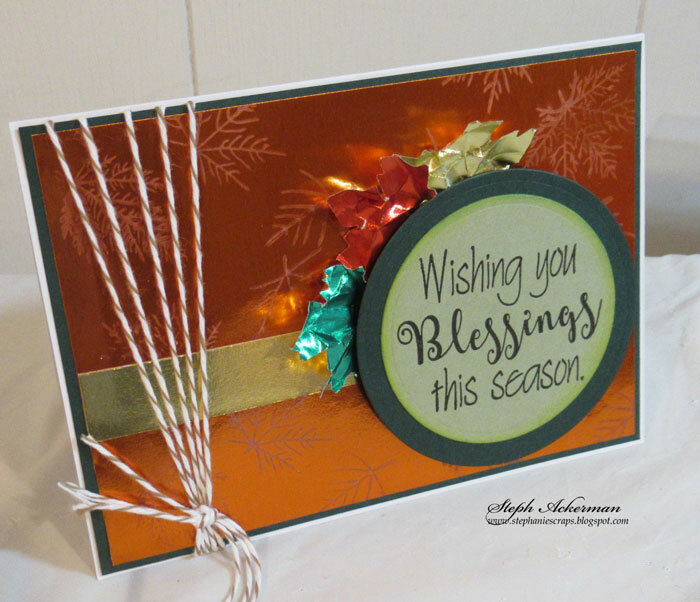 Next, I die cut assorted leaves using Spellbinder dies. 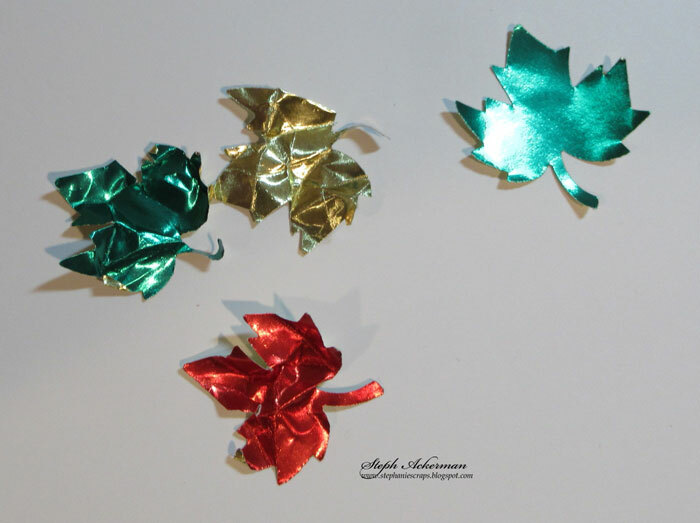 For dimension, I scrunched the leaves with my fingers. The phrase was stamped and die cut, matted with a larger die and added to the card with foam adhesives. The leaves were then added around the phrase.